Riley’s Way Walking Tour is a 16-stop self-guided walking tour of the entire Locks Heritage District. The 14 canal-related signs are located at both street-level and canal-level sites, which offer tremendous views of the Erie Canal and surrounding attractions. 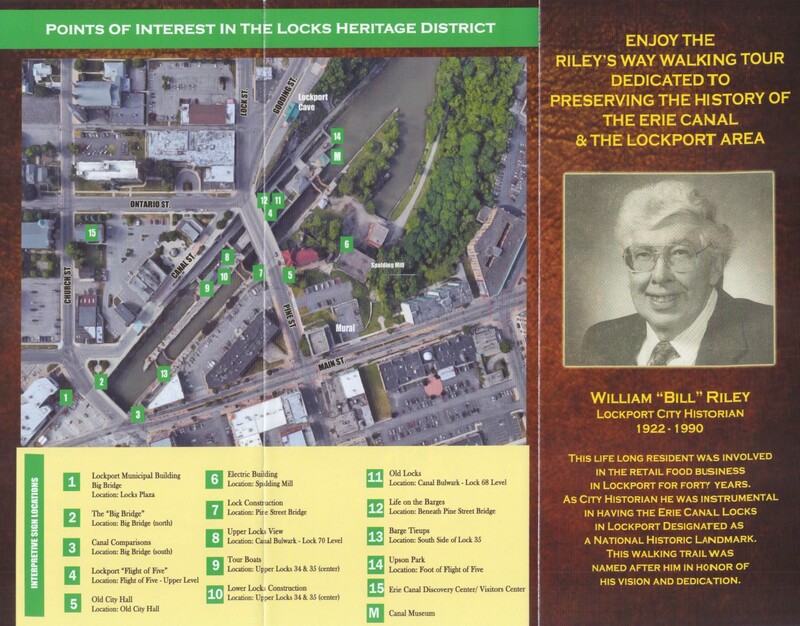 An attractive four-color brochure, Riley’s Way Walking Tour’, provides a photo with an aerial view of the Locks District and a map of the sign locations. The 14 signs, erected on colorful 3’ x 2’ enamel panels, provide highlights of the significant events and people who shaped the construction and evolution of New York’s canals over the past 200 years. The depictions contain photographic images of historical figures, construction machinery and construction workers involved in the building of the original Erie Canal, its successor the Enlarged Erie Canal, and, finally, the Erie Barge Canal. Visitors will enjoy the one-half hour walk encompassed by Riley’s Way. The 60 foot difference in elevation caused by the Niagara Escarpment that necessitated the construction of the Lockport Locks in order to enable canal boats to ascend to the Lake Erie level is reasonably traversed by foot. 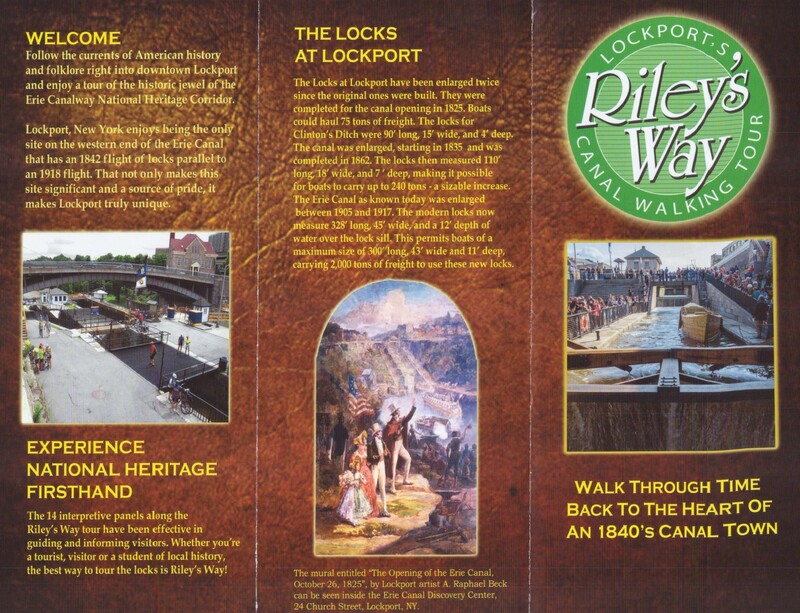 All of the Riley’s Way signs are located within a ½ mile radius of the Lockport Locks.